Nanometer-scale vehicles known as nanocarriers can be programmed to travel the body and selectively target cancer and other sites of disease and therefore, can convey higher concentrations of drugs to bombard specific areas of the body while curtailing systemic side effects. Nanocarriers can also convey drugs and diagnostic agents that are normally not soluble in blood or water as well as considerably decrease the effective dosage. Although this technique might appear perfect for treating diseases, nanocarriers are not without their difficulties. Controlled, sustained delivery is advantageous for treating many chronic disorders, but this is difficult to achieve with nanomaterials without inducing undesirable local inflammation. Instead, nanomaterials are typically administered as multiple separate injections or as a transfusion that can take longer than an hour. It would be great if physicians could give one injection, which continuously released nanomaterials over a controlled period of time. Currently, Scott, an Assistant Professor of biomedical engineering in Northwestern’s McCormick School of Engineering, has created a new mechanism that makes that controlled, sustained delivery feasible. Scott’s team prepared a nanocarrier formulation that — after rapidly forming into a gel inside the body at the site of injection — can continuously discharge nanoscale drug-loaded vehicles for months. 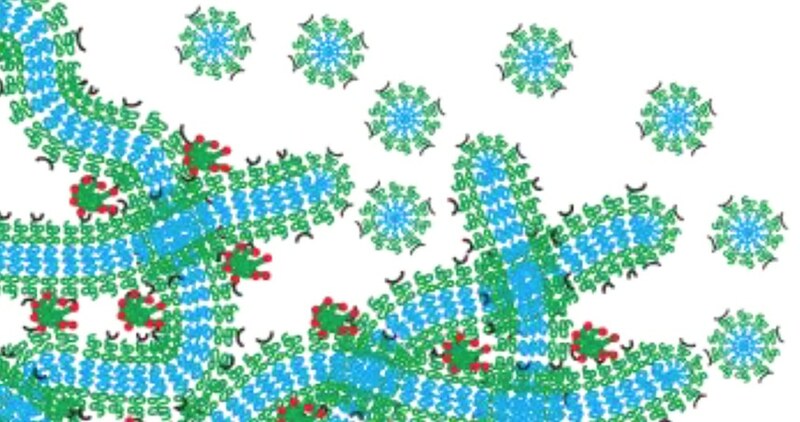 The gel itself re-assembles into the nanocarriers, so after the entire drug has been delivered, no residual material is left to trigger fibrous tissue formation or inflammation. This system could, for instance, enable single-administration vaccines that do not require boosters as well as a new method to deliver hormone therapy, chemotherapy, or drugs that assist wound healing. The research was published online on February 12 in the Nature Communications journal. It received support from the National Science Foundation and National Institutes of Health. Nicholas Karabin, a graduate student in Scott’s laboratory, was the first author of the paper. Northwestern Engineering’s Kenneth Shull, a Professor of materials science and engineering, also contributed to the research. A member of Northwestern’s Simpson Querrey Institute for BioNanotechnology and Chemistry of Life Processes Institute, Scott was the corresponding author and guided the nanoparticle development and in vivo validation. Presently, the most common sustained nanocarrier delivery systems hold nanomaterials within polymer matrices. These networks are embedded into the body, where they slowly discharge the trapped drug carriers over a span of time. The issue lies after the delivery is finished: the networks stay inside the body, often causing a foreign-body response. The leftover network can cause chronic inflammation and uneasiness in the patient. To avoid this issue, Scott created a nanocarrier using self-assembled, filament-shaped nanomaterials, which are loaded with an imaging or drug agent. When cross-linked together, the filaments develop a hydrogel network that is similar to structural tissue in the human body. After the filaments are injected into the body, the resulting hydrogel network works as a drug depot that gradually degrades by breaking down into spherical nanomaterials called micelles, which are programmed to travel to precise targets. As the network morphs into the drug-delivery system, nothing is left behind to trigger inflammation. All of the material holds the drug and then delivers the drug. It degrades in a controlled fashion, resulting in nanomaterials that are of equal shape and size. If we load a drug into the filaments, the micelles take the drug and leave with it. After testing the system both in vivo and in vitro in an animal model, Scott’s team showed they could administer a subcutaneous injection that gradually delivered nanomaterials to cells in lymph nodes for over a month in a regulated fashion. Scott said the system could be used for other nanostructures besides micelles. For instance, the system could comprise vesicle-shaped nanoparticles, such as polymersomes or liposomes, that have proteins, drugs, or antibodies trapped inside. Different vesicles could transport different drugs and discharge them at different rates once within the body.